I love fine dining. I think that across New Zealand, fine dining as a concept has lost favour slightly – in recent years, sharing plates have definitely become more trendy. 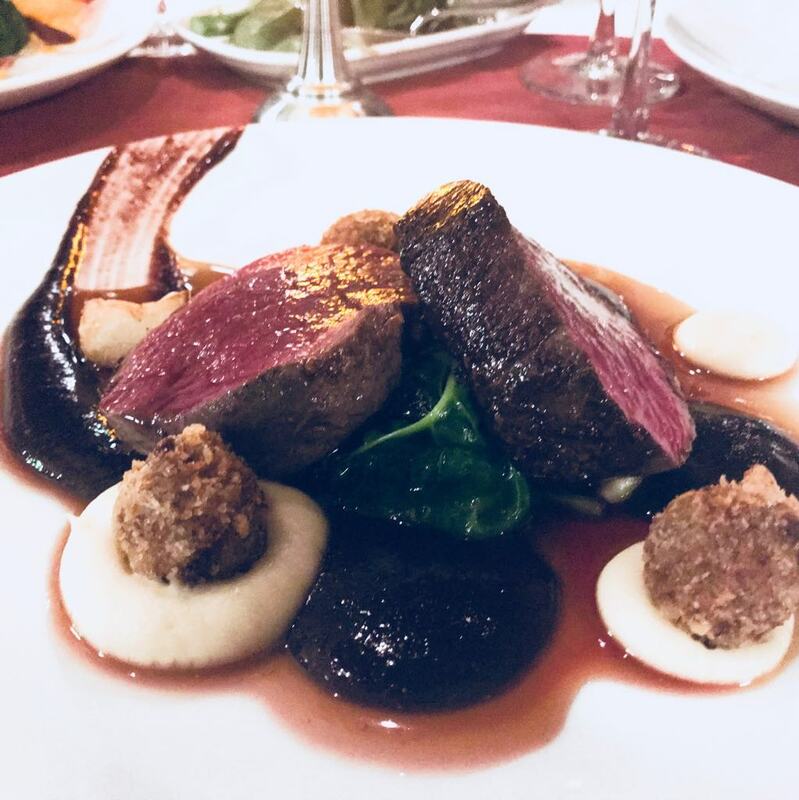 However, in my opinion there is something special about silver service that is hard to beat – especially because it is usually accompanied by top class food. 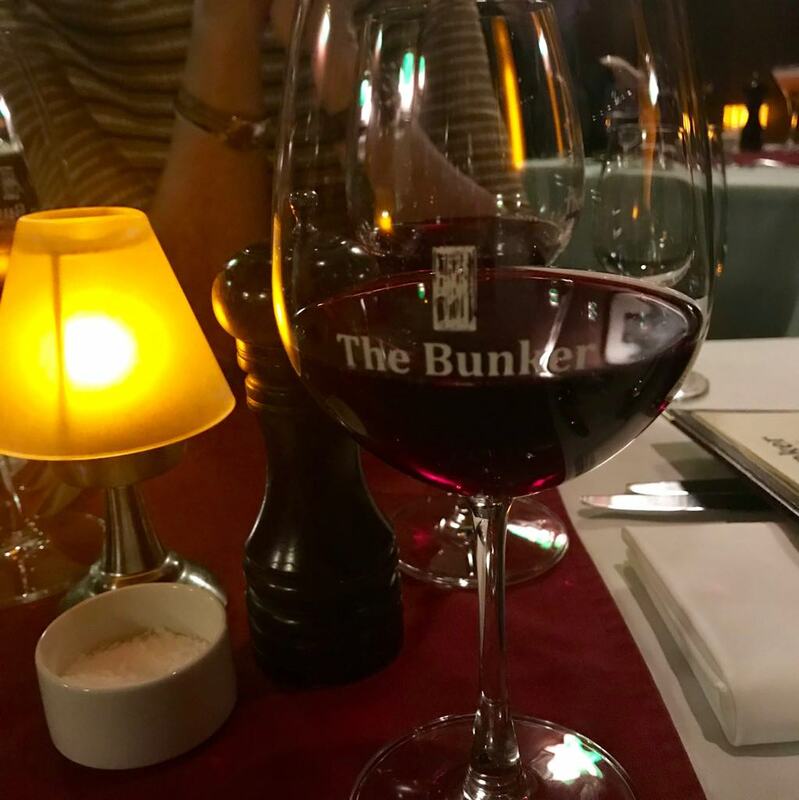 The Bunker in Queenstown is tucked away in one of its many alleys, behind a large wooden door. Appropriately named, there is not a window in sight. 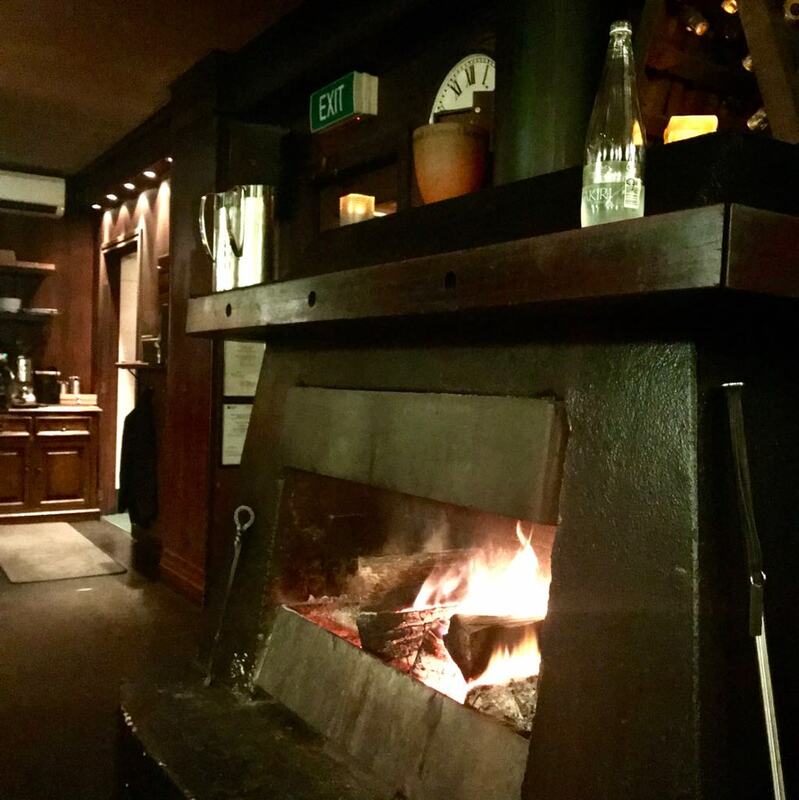 There is a large cosy fire place and a very delicious menu, featuring lots of local produce and wines. On this particular occasion there were four of us dining; to my delight each of us ordered an entree and main that differed to everyone else. The food was honestly exceptional. I had analysed the menu to bits, but all of this went out the (non-existent) window when I was told that the fish of the day was salmon. 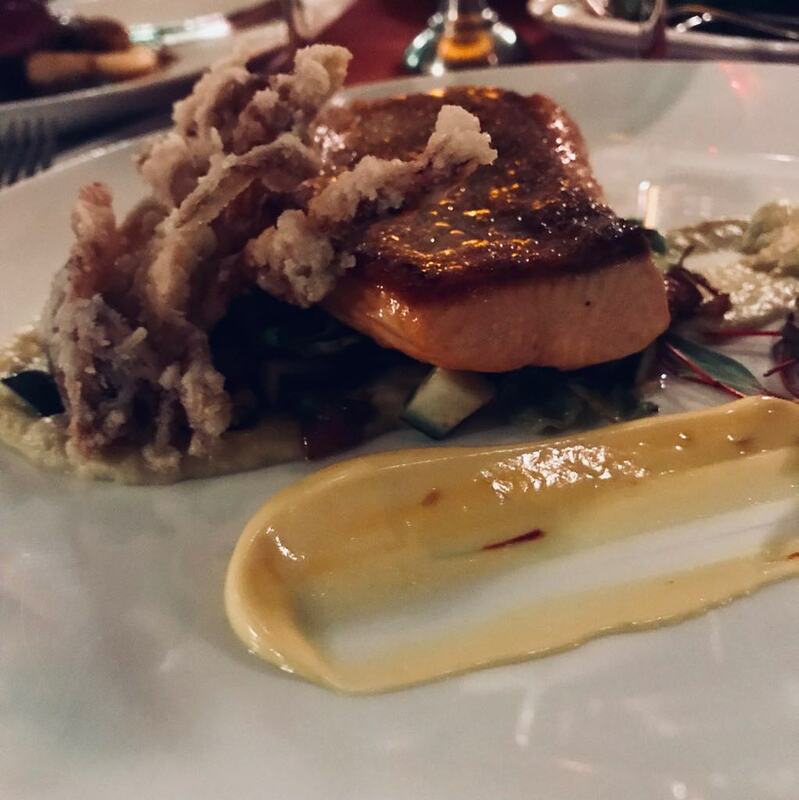 As an entree, I ended up ordering the pork mille feuille – with flavours of apple jelly and crackling I found it absolutely divine. This was followed by the salmon, and the tasting platter for dessert. 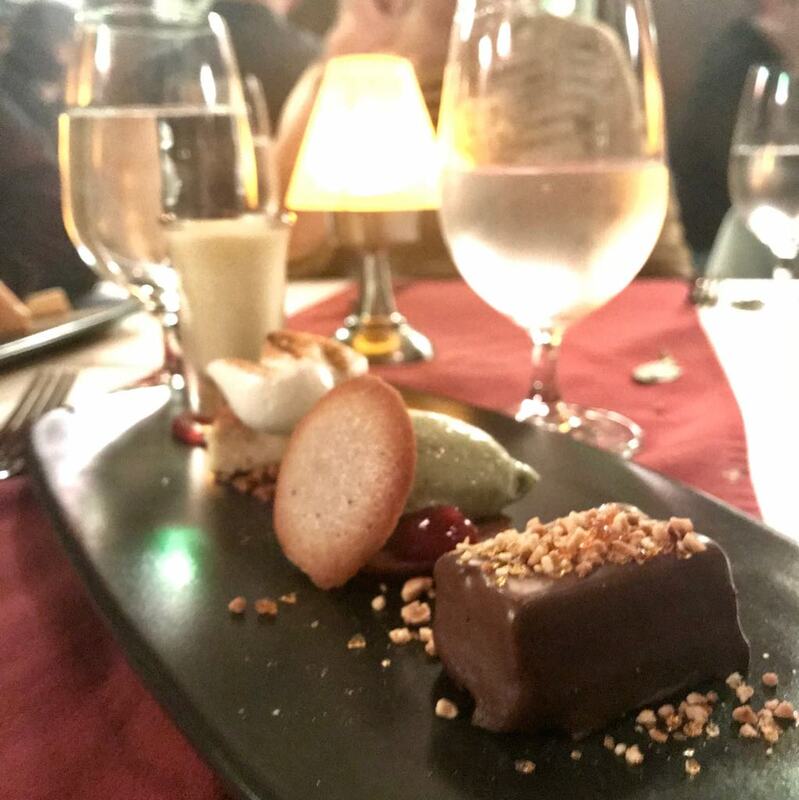 I got to try four mini desserts – each more intricately designed and flavoursome than the last. The prices were pretty expensive, however the food was flawless. I would leave nothing to chance, if you want to visit the Bunker, definitely book!